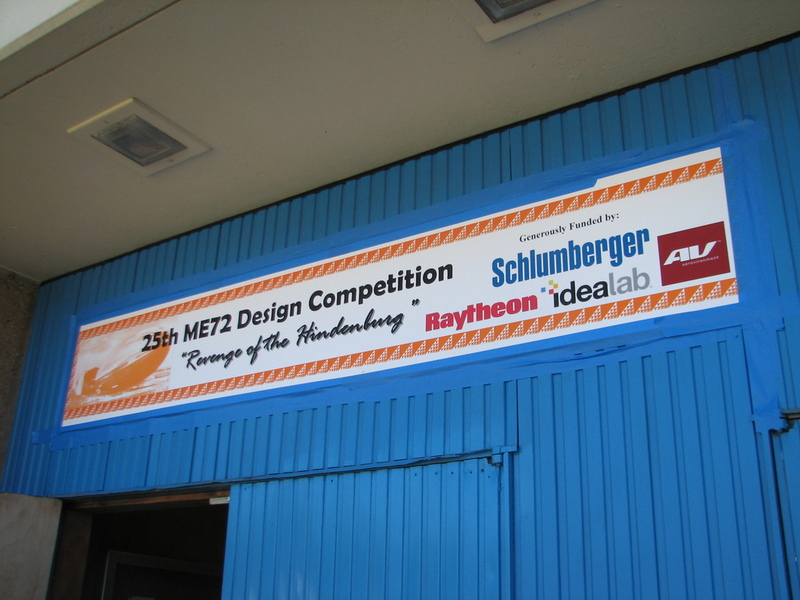 Today was the 2010 ME72 Engineering Contest at Caltech. I like to go see this whenever I get the chance. The last time I saw it, the teams built catapult-like machines to hurl a small projectile across the athletic field. 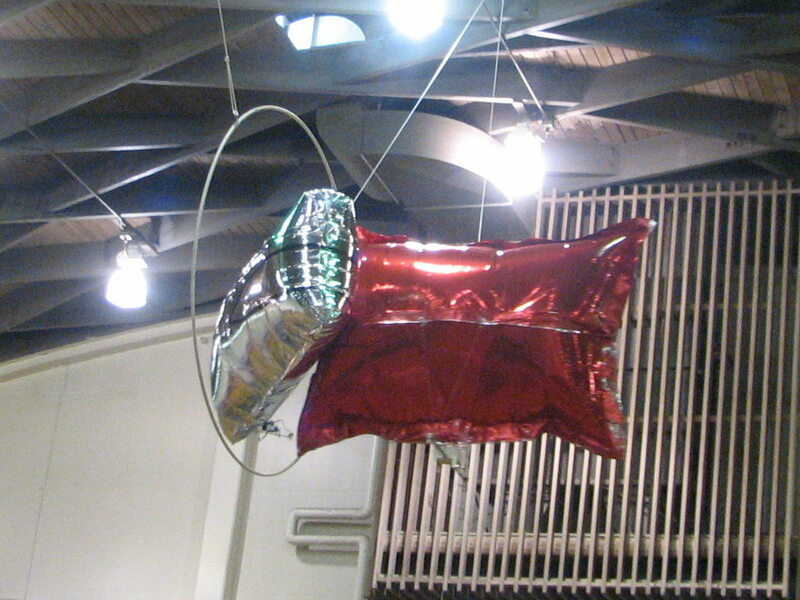 In 2007, the machines had to carry a small piece of chain up a mesh slope. This year was a partially aerial contest. 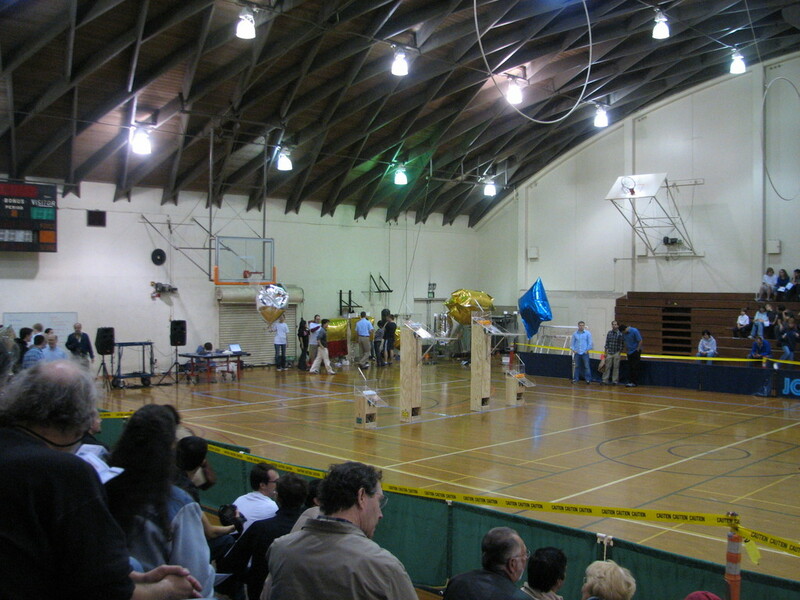 Teams had to build at least two machines, and most built three. 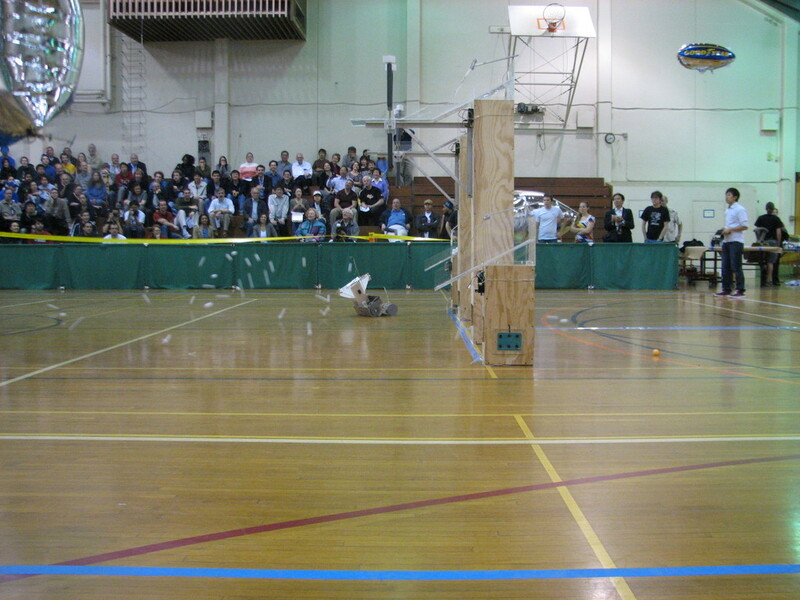 One was to pick up and transport ping pong balls across the gym, and the other had to fly through a hoop 15 feet in the air above the gym floor. 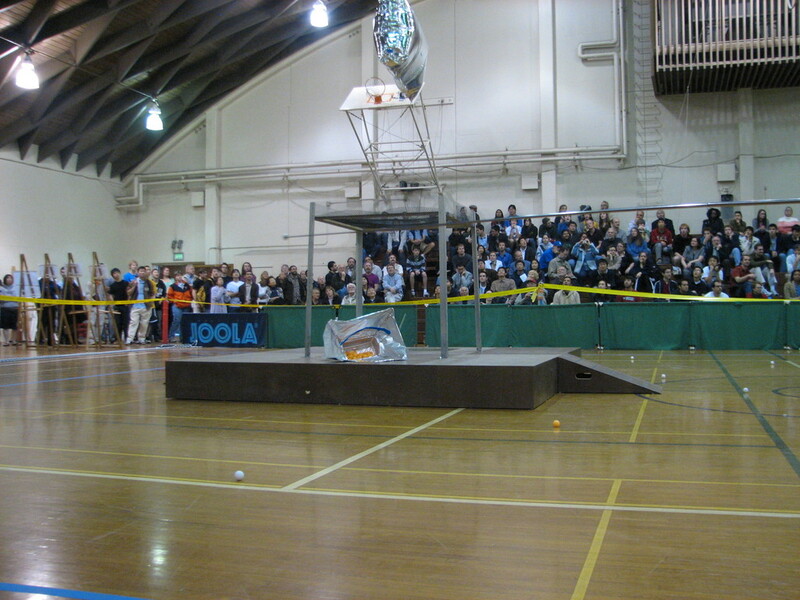 And since the rules explicitly allow for machines to interfere with each other, most teams also built a small wedge-like vehicle to drive around the floor and harass their opponent’s ball-transport machine. 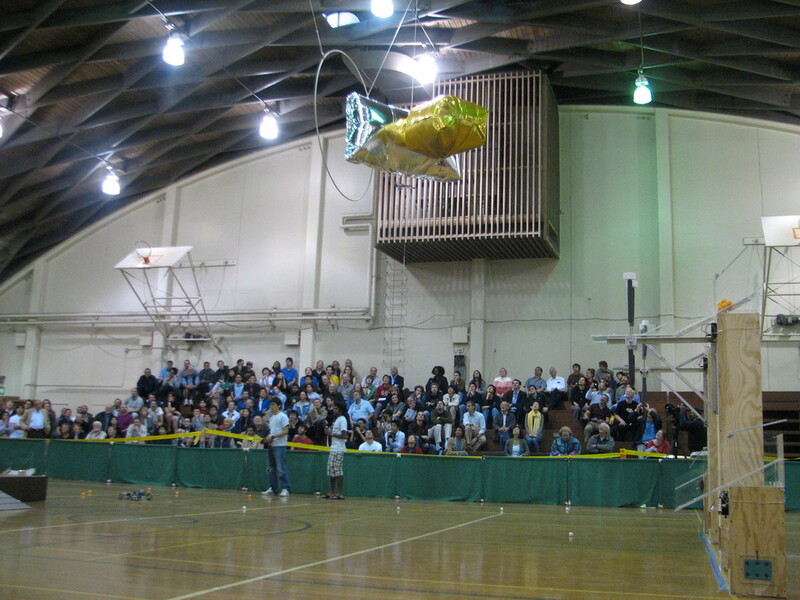 Also, the aerial machines had some slow-paced dogfights with one machine trying to prevent the other from being able to fly through the hoop. As always, this was a lot of fun to watch. It was interesting to see the different designs that each team came up with, both in how they resembled each other, and also how they took different approaches at times. Good geek fun.